Oscar the Bear visits Department of Paleontology at GNS Science. 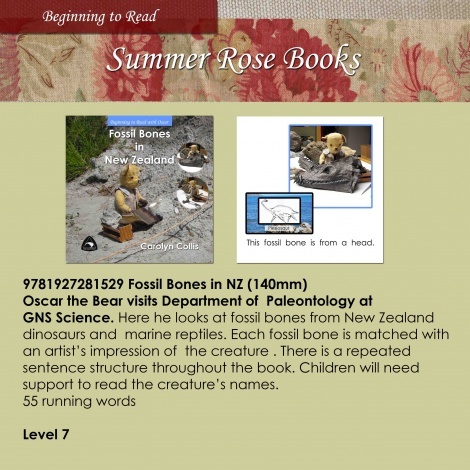 Here he looks at fossil bones from New Zealand dinosaurs and marine reptiles. Each fossil bone is matched with an artist's impression of the creature. There is a repeated sentence structure throughout the book. Children will need support to read the dinosaur and sea creatures' names.